Yarrawonga, great service just keeps coming! April 6. Helen Copland Manager of Yarrawonga pictured right with Jill Buckley Datatrax Training Manager, receives an update of our network and new features to promote your business. Including a run down on the Take you there app. Every touchscreen promotes the download. 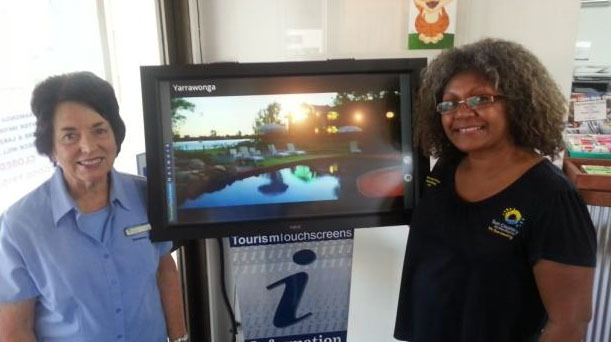 A lot of impressions, with 18 Million people walking into visitor centres Nationwide with our TourismTouchscreens. 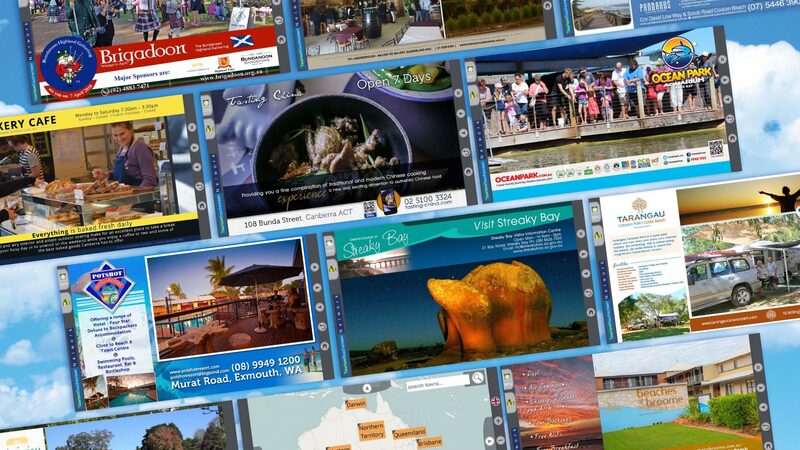 There is no better way for us to get people downloading and you direct access to your website.